Q1 As you reflect on your last year(s) in education, what is a stand out moment for you? This past year was filled with an astronomical amount of growing and learning. There have been many moments where I wished I could have stopped time so I could live in that moment forever. Most of those moments involved an excitement like no other from my students. Sometimes the excitement stemmed from a specific lesson we were about to embark on, but more times than not, the excitement came from them experiencing that "aha" moment, and mastering a concept. This past year I worked as the Special Education teacher in an inclusion setting. One of my students struggled with her multiplication times table, specifically her 7 times table. In the beginning of the year we worked with various strategies to help her master it, so she would not be slowed down as the mathematical concepts got more complex. One day, mid December, she walked over to me, a glow in her eyes and a grin from ear to ear. She recited her 7 times table perfectly and jumped with joy that she finally mastered it. She exclaimed that she continued to work hard and with my help she was able to understand it. Moments like this, where a student is excited about their work, and where a student is able to achieve their goal without giving up, are stand out moments for teachers. Q2 Who or what inspires you as an educator? Growing up, I was blessed to learn in an education system where my teachers pushed me to my fullest potential. They knew about me, not just as a student, but also as a person. They would want me to share my success with them, and they would be genuinely proud. Now that I am an educator, my students’ success inspires me, and I strive to be like the teachers I grew up having. To me, success is not just academics; to me success is when a student becomes more self-directed, when a student does a random act of kindness, or when a student collaborates productively. Yes, I want my lesson plans to be engaging and for students to fully understand all that the common core states they need to know, but ultimately, who the students are as people plays the bigger role in my eyes. My students inspire me to be a better person, to be a superstar role model, and to go to workshops where I can learn the latest educational technology. My students inspire me to attend professional development days, to plan my lessons on my weekends, and to get out of bed in the morning. I want to be the best educator I can be because of my students. Q3 How do you integrate technology into your teaching? This past year, each student in my class had their own Google account, which I felt was amazing. I was easily able to integrate technology in simple ways such as using Google Docs for readers and writers notebooks. I conferred over Google Docs by adding comments to student work. Additionally, I had students go through the writing process online for each unit by using Google Docs. Students were capable of participating in peer conferencing by sharing their work and allowing their peers to make comments on their work. I was able to monitor who was sharing their work, I was able to see where each child was in their writing process (inside AND outside of school!) and I was able to write my own comments and suggestions. I will absolutely be using Google in my classroom again this upcoming year. Other ways I have integrated technology into the classroom is by recording students working together in groups then having them reflect by watching it, by using Glogster (thanks, Stacey! ), by having students engage in research, by allowing students to create projects online, and so much more! Q4 What resources do you use to learn about new instructional technology? Where/how do you do your tech-sploration? Being an educator is a collaborative job, regardless that you are in your own four walled classroom throughout the day. Teachers are constantly working with their co-workers to improve their own educational practices. My best resources to learn about new instructional technology are the teachers I am blessed to work with everyday. We share with each other what we have been using in our classrooms; what works and what does not work. Aside from collaborating with co-workers, I do engage in my own independent research in order to learn about new instructional technology to use within my classroom. I am a Pinterest addict, so sometimes I use that as my base. Then from there I find websites that give me ideas on different websites I can use, apps I can integrate, and strategies to use in order to bring these resources into my classroom. I also am signed up for various educational magazines such as Science and Children, and Social Studies and the Young Learner. Magazines such as these provide the reader with many different sites to explore. Other websites I use are edutopia.org, teachers.net, educationworld.com, www.smithsonianeducation.org, and more. Q5 What's next for you in the coming year? A goal for myself in the coming year is to become as paperless as possible. I plan on using technology as much as I can this upcoming year whether it be for reading and writing journals, station work, for review, for students to create projects, for my class to collaborate with schools around the world, or to motivate my students and show them that there is a bigger audience than just their peers. I plan on using Google Classroom in order to create a home base for my students. I plan on having students take ownership of their work by having choice and integrating technology into their work. Fourth graders in my school are limited with the technology in their classroom, so I will try reserve the laptops that are shared within my school as much as I can, get the iPads as much as I can, and book the computer lab as much as I can. If I am unable to use those resources as much as I please, I will use the resources I do have, two computers in the back of my classroom, and integrate them into my work accordingly. For example, I can project my screen and model for the class. I can use Skype for a whole class, I can have students rotate with the technology, etc. Alisha Tricarico is a Fourth Grade General Education Teacher in Central New Jersey. This upcoming year, 2015-2016, will be her second year as a teacher. 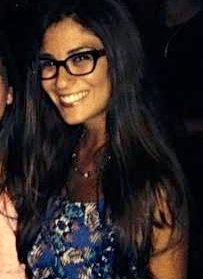 Alisha Tricarico graduated from Rider University, in Lawrenceville New Jersey, and received her undergraduate degree in Elementary Education and Special Education. Alisha Tricarico’s hometown is on Long Island, New York; she has wanted to be an educator her whole life. Growing up she worked with various age groups during the summer, which strengthened her love for working with children. Additionally, Alisha lived in San Francisco for a summer to work with international students. There she helped them learn English and introduced them to American culture. Alisha is constantly working towards improving her educational practices. If you do not find her in her classroom or at a professional development seminar, you will find her lost in a book. Alisha is always reflecting on her educational practices in order to grow and learn. My favorite quote... Share your favorite educational quote in the comments below; I'd love to sketchnote it! Tomorrow's Classrooms Today: My ISTE "Expo"